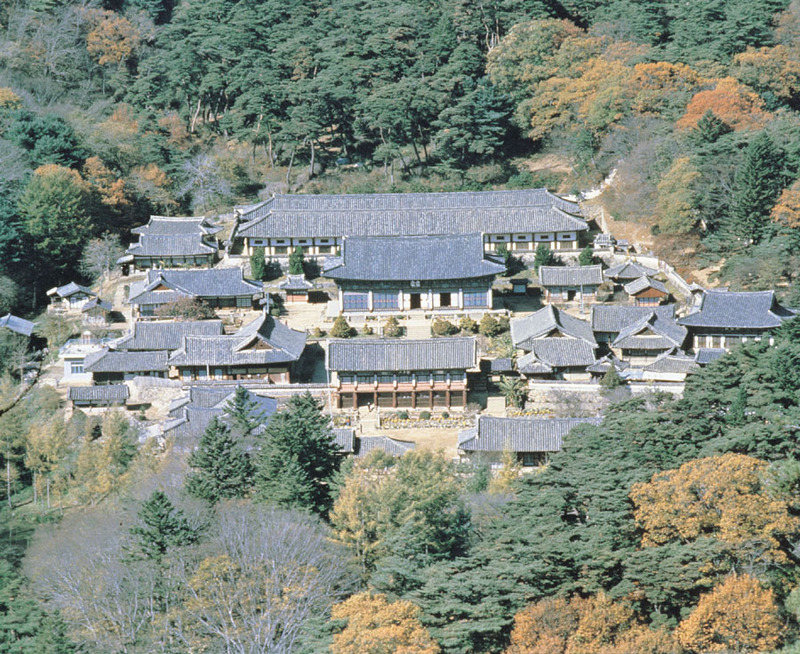 Located on a mid-slope of Gayasan Mountain, Haeinsa Temple was established in 802 under the auspices of King Aejang (r.
800-809) of the Unified Silla, who believed that Buddha had helped his queen recover from her illness. As the Temple of Dharma, one of the three-jeweled temples in Korea, it houses a huge collection of about 80,000 Tripitaka Koreana woodblocks. 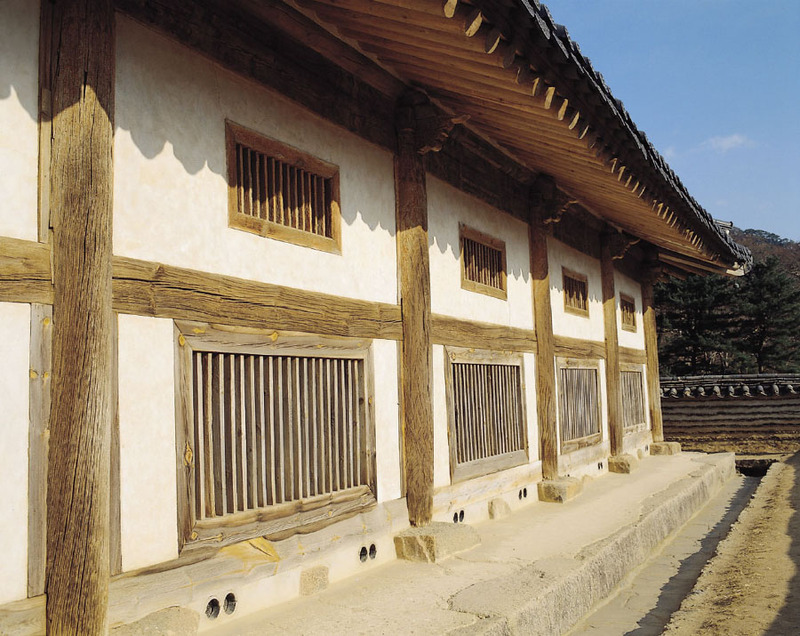 The two buildings used to store the Tripitaka Koreana woodblocks in Haeinsa Temple are known to be the oldest of all the buildings currently standing in the temple, although no specific dates are given regarding their construction. Undergoing major renovation in 1457, the buildings were rebuilt in 1488 under the supervision of Buddhist Monk Hakjo and with the support of the royal family and named Boandang. 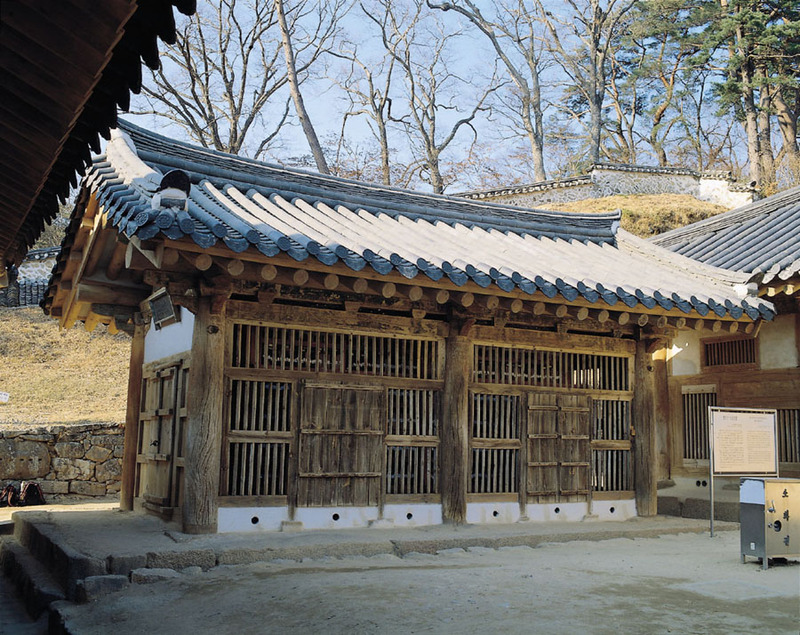 Their location in a remote mountainous area helped the buildings remain safe during the Japanese Invasion of Korea in 1592 and maintain their original structures. Records show that the depositories underwent two more renovation works in 1622 and 1624. 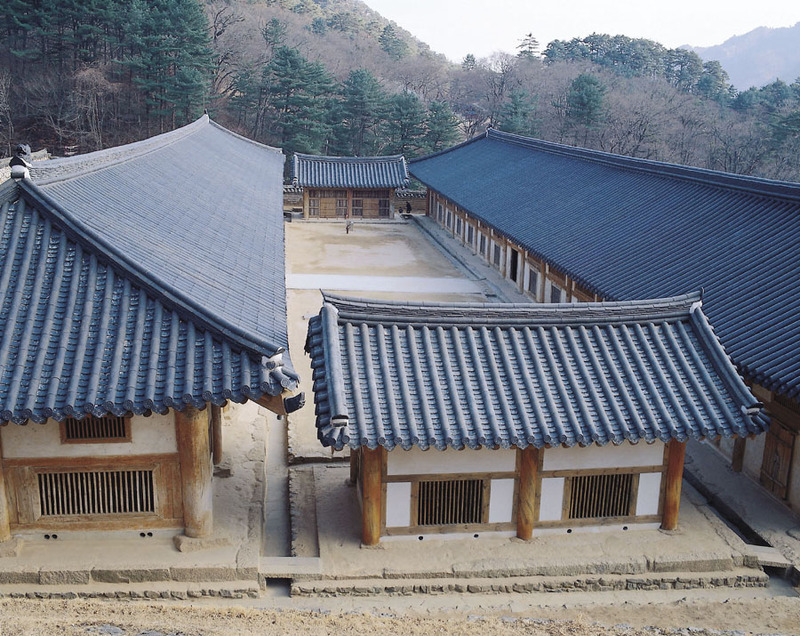 The two buildings, each with 15 bays on the front and 2 bays on the sides, stand side by side, one (called Sudarajang Depository) in the south and the other (Beopbojeon Hall) in the north. There are two small book storages in the east and west; thus forming a rectangular courtyard with the woodblock depositories. The buildings are designed such that they could best fulfill their functions as depositories of woodblocks; thus, all the extra decorative elements were removed. Each depository has two rows of windows in different sizes -- one on the front and the other on the rear -- designed to ensure effective natural ventilation. The earthen floor is laid over layers of powdered charcoal, lime, salt, and sand; thus effectively controlling moisture in a natural manner. 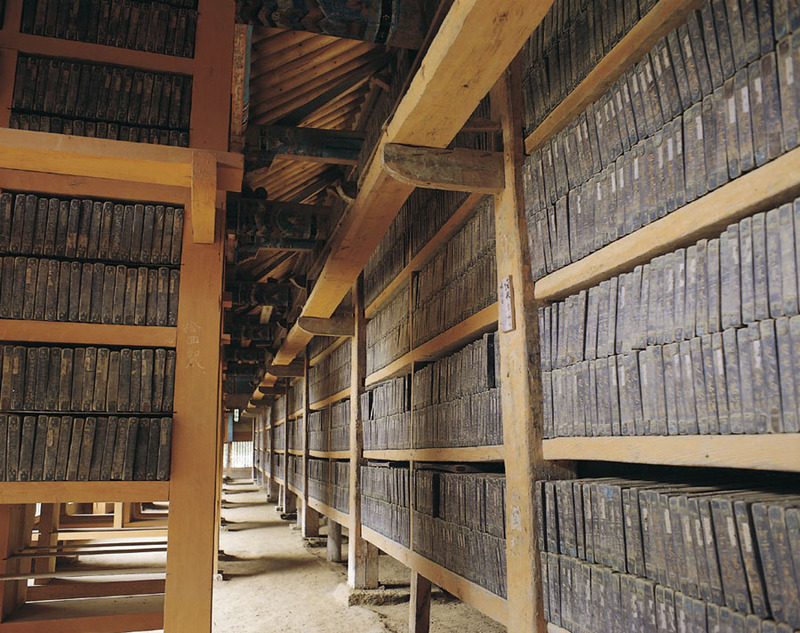 Experts believe that these depositories have been able to exploit the natural condition surrounding them in a creative manner to provide scientifically effective condition for the preservation of the Tripitaka Koreana woodblocks for such a long period. 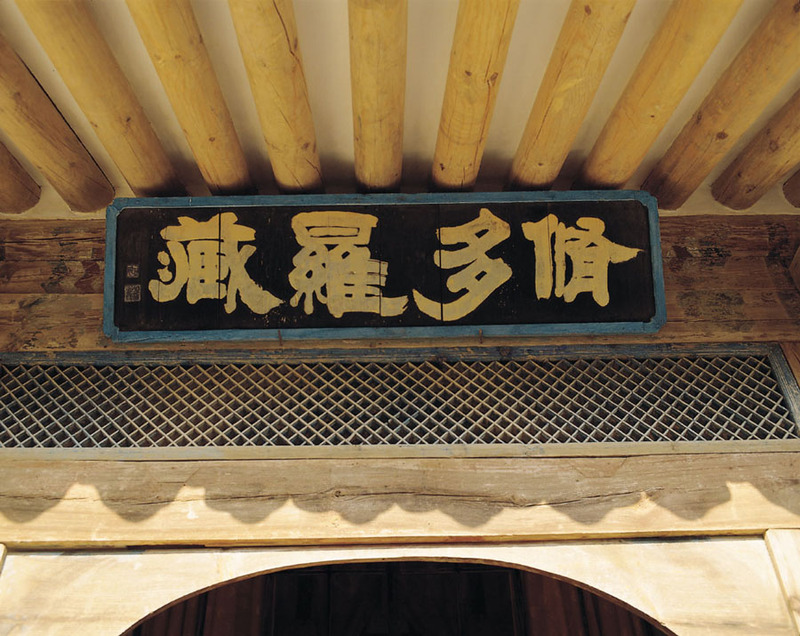 These 15th century buildings are the world’s only structures built for the storage of Tripitaka printing woodblocks whose cultural uniqueness and value landed them in UNESCO’s list of world heritage sites.